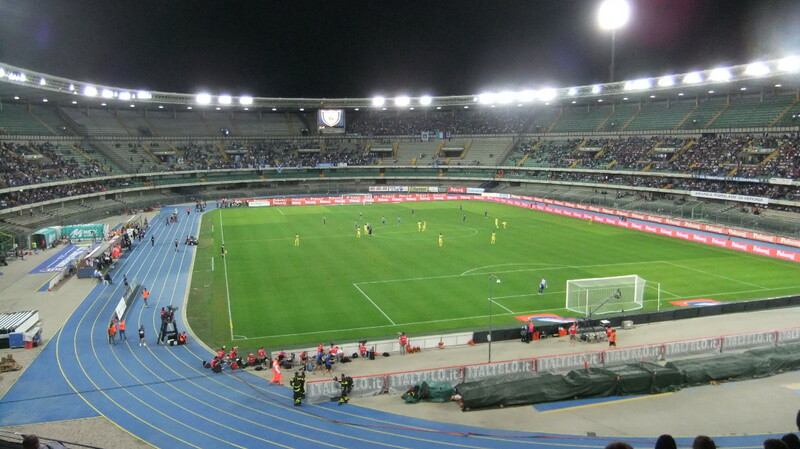 Stadio Marcantonio Bentegodi opened on the 15th of December 1963 with a match between Hellas Verona and Venezia. The stadium was initially uncovered and consisted of two tiers. The roof and a third tier were added in a redevelopment for the 1990 World Cup. During the World Cup, Stadio Bentegodi hosted three group matches and the round of 16 match between Yugoslavia and Spain (2-1). Until 1986, the stadium was the sole home of Hellas Verona, but they were then joined by Chievo after their promotion to the Serie C1. In the late 2000s, building works started to improve the bottom tier of the stadium, but these were never completed and the bottom tier has remained closed ever since. Stadio Marcantonio Bentegodi is located just south-east of Verona’s historic city centre. The walk from the main railway station (Verona Porta Nueva), which lies south of the historic centre, takes less than 15 minutes. The walk from the central Piazza Bra with its roman theatre will take slightly longer, but still less than half an hour. Alternatively, bus 11, 12, and 13 connect the city centre (Piazza Bra) and the main railway station with the stadium. Take bus 11 in the direction of Chievo/Corno, bus 12 direction Borgo Nuevo, or bus 13 direction Croce Bianca. On Sundays and holidays these are replaced with line 90 and 95. Get off at stop Stadio. Stadio Marcantonio Bentegodi is centrally located in a rather dense residential neighbourhood. In typical Italian fashion, it won’t be too hard to find a local cafe or restaurant, but Verona’s very pleasant city centre is nearby which offers plenty more options to eat and drink. Hotel Martini is a good option if you want to stay close to the stadium. It lies a 10-minute walk away and gets good reviews. Hotel Porta Palio is another option a few minutes further away, and there are furthermore various apartment rentals and small B&Bs to choose from. 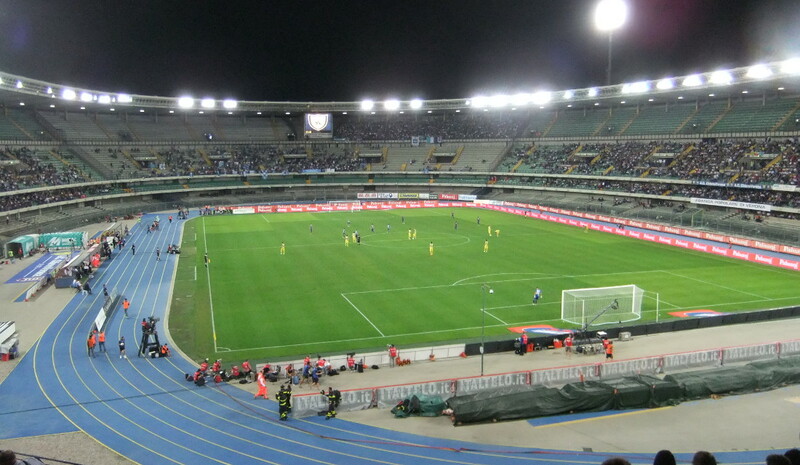 Click here for an overview of hotels near Stadio Marcantonio Bentegodi. Of course, there is no reason to limit yourself to the hotels right near the stadium as the city centre is close by. Click here to explore the hotels elsewhere in the centre. 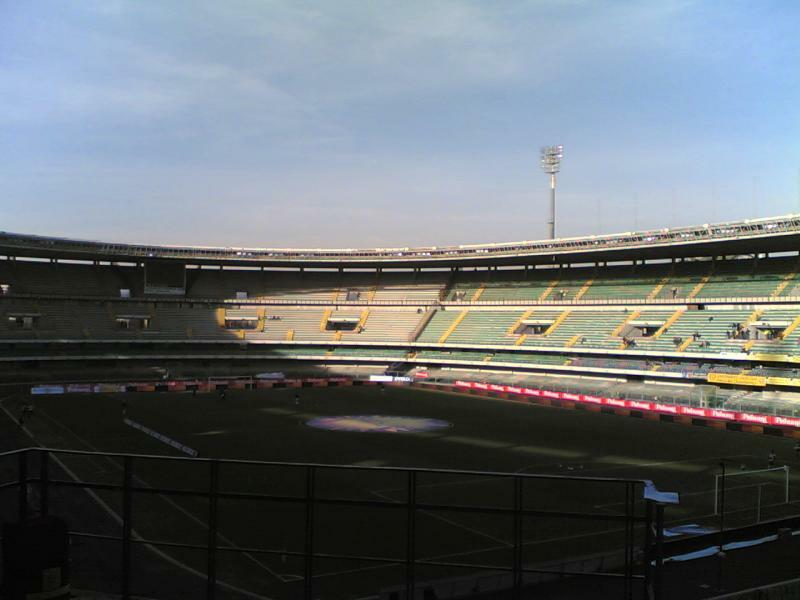 Tickets for Chievo matches can be bought online through Ticketone, or at the ticket windows of the stadium on the day before the match and the day of the match. Chievo rarely sell out. Ticket prices depend on the opponent. Most matches come in the second category with tickets starting at €24.00 for a seat behind the goal ranging up to €64.00 for a lower-tier seat at one of the long sides. Tickets for a few low-profile matches are a bit cheaper, while tickets for the top matches are quite a bit more expensive. Tickets for Hellas Verona games can be bought online, at the club store at the Via Cattaneo 2 in the city centre near the arena, or at any of the Vivaticket sales points. On the day of the match, tickets can be bought at the Hellas Verona Ticket Point at Parking A of the stadium. Identification is required to be able to buy tickets. 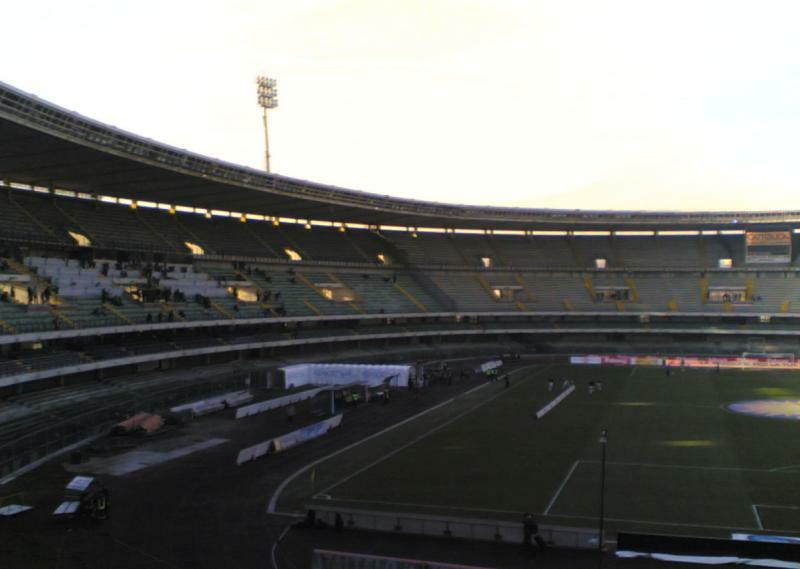 Ticket prices can depend on the opponent, but typically range from €12.00 for a seat at the Curva Sud to €28.00 for a lower-tier seat at one of the long sides. Tickets are more expensive if bought on the day of the match. Chievoverona.it – Official website of AC Chievo Verona. Hellasverona.it – Official website of Hellas Verona FC. Veronatuttintorno.it – Tourism website of the city of Verona. Atv.verona.it – Verona public transport information.